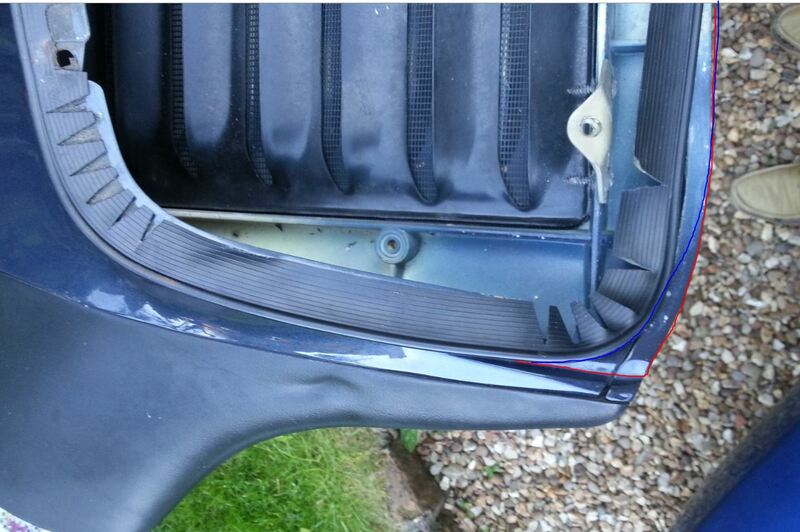 911uk.com - Porsche Forum : View topic - Seating spoiler seal correctly - help! 911uk.com Forum Index > SC (1977 - 1983) & 3.2 Carrera (1983 - 1989) > Seating spoiler seal correctly - help! Posted: Tue Jun 16, 2015 11:08 am Post subject: Seating spoiler seal correctly - help! The seal between the spoiler and the engine lid looked like it has slupmed inboard about the forward outer ears of the spoiler. Thinking it was a small job I pulled the wing off but it appears the seal won't stretch to where I would like to reseat it. Can you tell me if the red or blue curves I have drawn on the image below is the correct path? I fear that to follow the red path I will have to heat the seal and stretch it, risking pulling it away from somewhere else around the spoiler?